Hi There, and thanks for checking us out! We’re a small Health Food Manufacturer, and are looking for someone to work the following schedule at our retail location in Petaluma. Possibility for more hours in the future depending on the needs of the company and your personal schedule. • General computer and internet proficiency with the ability to learn programs on the job. • Familiarity with Macintosh and/or Windows computers. • A friendly and cheerful attitude. • Basic understanding of Microsoft Word. • An understanding of reminder apps or paper system to keep track and to prioritize tasks. • Basic understanding of Microsoft Excel. • An understanding of how to create and send Emails. • Familiarity with ordering items online. • The ability to type at a moderate, steady rate. • Health food knowledge and a willingness to learn is a must! • Ability to receive direction and work under supervision at times. • Self-starter who can also work unattended. • Basic familiarity with Quickbooks a plus! • Being a representative of our brand to customers. • Handling cash register sales for walk-in customers. • Scanning and printing basic documents. • Taking and entering orders/inquiries via phone, in-person, and email. • Helping with the processing of shipped orders through UPS.com. • Running occasional, local errands. • Helping with office paperwork and tasks. 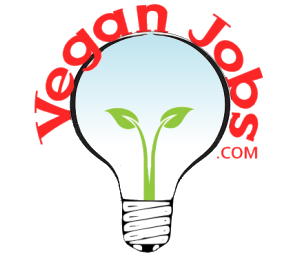 About Lydia's Kind Foods, Inc.
We specialize in hand-made, sprouted seed & nut vegan specialties made with all-organic ingredients, and free of gluten, soy, GMO's, yeast, grain, peanuts, garlic, and onions. You should have an interest in the fact that we're trying to promote some goodness in this world by offering healthy alternatives to common foods and snacks. ♥︎ HELP the planet and the next seven generations flourish by making nourishing vegan, organic, and gluten-free foods that cultivate a healthy and joyful life for all. ♥︎ RESPECT and protect the interdependence between planet, people, plants, and animals by making the best environmental choices we can. ♥︎ PROMOTE ecological sustainability and healthy lifestyle choices within our communities and around the world. ♥︎ GIVE the utmost care in preserving the living vitality of our nutrient-dense, minimally processed, organic ingredients. ♥︎ SUPPORT non-GMO, organic farmers and suppliers. ♥︎ CARE for the health and well-being of our customers. 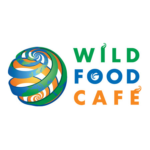 Wild Food Café Transforming humanity's relationship with food.